Giving birth is one of the most exciting events in any mother’s life. While not everyone experience post-natal blues, it is important that you are prepared physically and emotionally for these changes. Having a baby is completely different from being pregnant with the baby. Your life will change, from your future plans to your sleeping patterns; it will take a lot from you physically, emotionally and mentally. 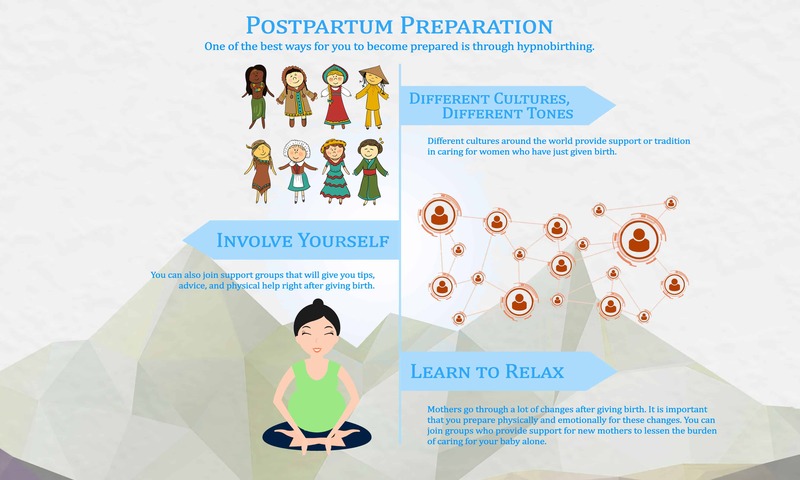 One of the best ways for you to become prepared is through hypnobirthing. Different cultures around the world provide support or tradition in caring for women who have just given birth. In Japan, for example, women who have recently given birth practice Ansei, or peace and quiet. This is a period where women rest right after giving birth. The Chagga women in Uganda, on the other hand, perform great celebrations for new mothers. Practices like these offer great relief for new mums. The sad thing is, in many other countries, the needs of new mothers are usually ignored. This leaves us isolated, confused, and most likely anxious. Nowadays, there are options for new mums to get emotional and practical assistance from other mums or professional caregivers. I love the fact that I work for an industry that empowers women. Being able to give birth is our greatest gift and we deserve the best reward for being a mother. I love the opportunity to be able to work with women and prepare them not only for the actual delivery, but also postpartum events. Hypnobirthing, hypnotherapy and self hypnosis are some helpful ways to understand yourself better. You can help yourself relax even in the most chaotic situations when you know the basics of hypnotherapy. This is the same reason why hypnobirthing is so successful, because women who practice it reach a level of calm and relaxation amidst their birthing time, no matter what happens. You can also join support groups that will give you tips, advice, and physical help right after giving birth. To make it even special, organise friends and families to take turns helping out. New mums will benefit a lot when they are not stressed over other matters like caring for the home or feeding older children. Rest as much as you can, because you deserve it. 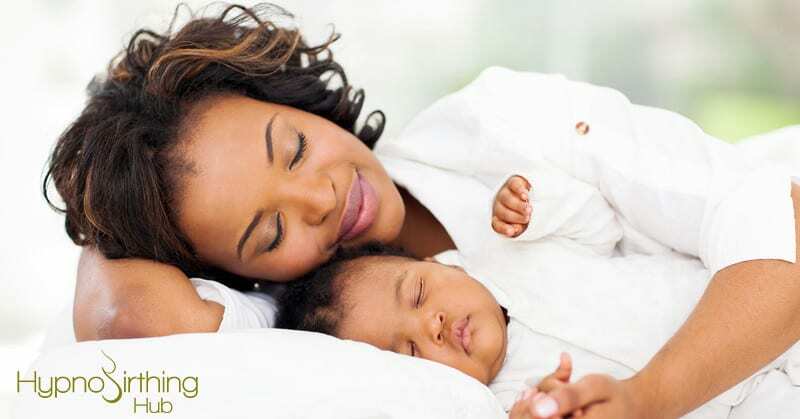 Adequate rest will help you adjust to your new role as a mum. When you are stressed, you can easily snap or lose focus. Learn to relax using breathing techniques. This is the best way for you to regain your calm. Our Hypnobirthing Home Study Course teaches you the best breathing techniques so you can relax even in the most challenging situation. Mothers go through a lot of changes after giving birth. It is important that you prepare physically and emotionally for these changes. You can join groups who provide support for new mothers to lessen the burden of caring for your baby alone. You can also learn a lot through hypnobirthing. The whole course is more than just about pregnancy and delivery lessons. It is also about real-life applications to take care of yourself and your baby better. Nevertheless, if you are still feeling stressed and unable to cope with your new situation, it is important to consult your doctor. Your doctor will be able to refer you to a Certified Hypnotherapist, so you get the best possible care.